This post is for the writers and creative sorts out there. And it’s for all the regular folk who stop by for a coffee and a quick chat. Yes friends, for all of you. I want to ramble for a bit. I visited several new blogs that I found through one of my networking sites. And I have come to a crazy revelation. We are not all bloggers. What a word. It encompasses much because it is so ambiguous. So I want to pen my thoughts for you today. The term “blogger” is really overused. Pretty much anyone can throw some words down and announce themselves as a “blogger.” It kind of makes the rest of us creative writer types look bad because we are working our tail feathers off to create something. A business, a strategy, a place of learning. Sharing our deepest thoughts and sometime wisdom with our people. Something more than a few words and pretty pictures on your electronic device of choice. Some “bloggers” pop up overnight, toss up random photos and quotes, and SHAZAM! There’s a new blog in town baby. Yeah, it sort of gets my goat, since as a writer, I know I’m so much more, and I want to share with you, my amazing, adoring fans, quality, words of wisdom and posts that have some value for your life. Maybe a little humor tossed in for good measure. The big problem, as I see it, is that the blogging industry is growing in leaps and bounds overnight. 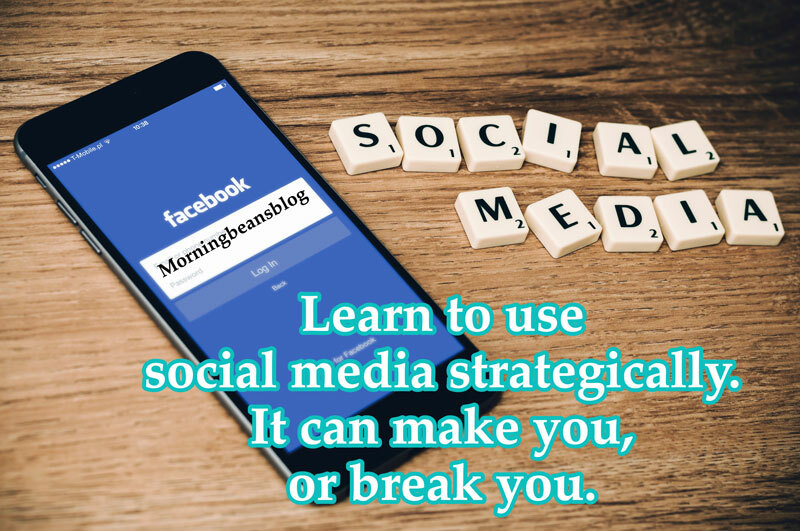 It has become overcrowded with hacks, and now it’s not enough to just have a blog. Same goes for social media as well. We writers and readers need to be a little more savvy now, and begin to think strategically. Every thought has to be calculated to bring you, my darling public, value and quality so you keep coming back (oh you regulars, thanks for coming back! I know who you are!) and to benefit me, as a brand in the long run. I mean, who doesn’t want to have morning beans around, always? This is my business, my life, my living, so phony baloneys, get out of town and off the web! And so, my sparkly fans, as a true blogger, I am in actuality an entrepreneur. Yes, I am, a solitary one, but I am in good company. I’m a writer, and as such, I wear many colorful hats. I’m like that guy in the children’s book Caps For Sale, and there are plenty of monkeys stealing my hats. So I am learning that alongside my writing submissions, (the ones that get published by literary mags,) being a blogger is a full-time job. I think it just might be one of the most underrated careers ever. And yes, it’s a career, even though it’s so fresh and new and not too many folks out there know what it truly entails. So I’m not really a blogger. I’m a writer and I’m an influencer. Yup, that’s the new buzzword. Influencer. Funny for someone who doesn’t much care about fashion or what’s in style. Heck, I’m still wearing band tees and Doc Martens. But it does sound more credible than “blogger.” It doesn’t have anything really associated with it yet; be honest, no image comes to your mind. If I said fireman, well, you’d see the red or black hat, the great yellow coat, a fire truck, but influencer? What in the world is that? 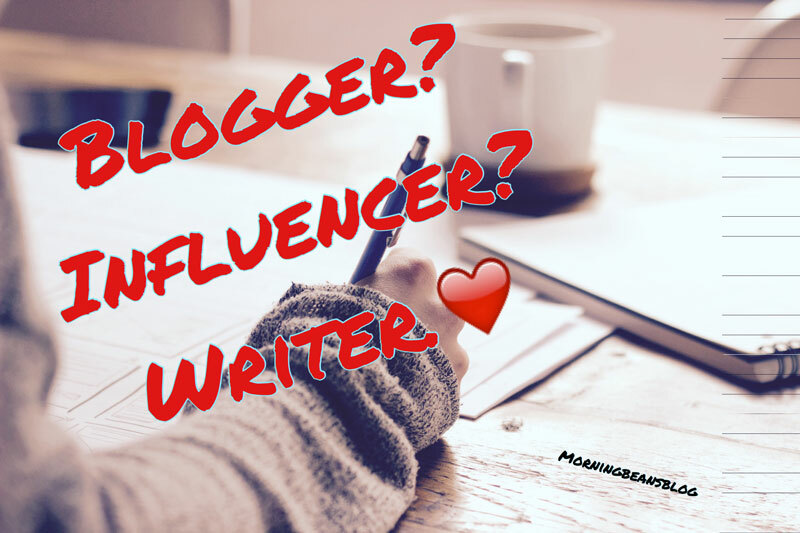 You all know that a blogger is a writer or photographer or a creative sort looking for an outlet. Here’s what you don’t know. All the behind the scenes, scary big stuff. All those hats I mentioned before? Well, I am lucky enough (sometimes) to have my other half on call for tech support and the like. My hats? Content writer, editor, social media marketer, brand ambassador, yup, Morning Beans is mine. I own that folks, and I love sharing the beans with you. But you get the idea – it’s quite a lot! “Influencer,” as opposed to “blogger,” is empowering.. Think about it for a second, I could have a serious influence on a decision in your life. Lucky for you I’m looking to motivate you. Imagine if I were Poe or Plath….YIKES! actually, I think it’s pretty neat..I mean, you check in here to see what I’ve got going on. It’s like a friendly phone chat when you need it. And I can give you advice, teach you something, or just let you know what I’ve been up to. Yup, I have a part in your life. I might even “influence” you to do something awesome. Cool beans. This is why I love you peeps. My sparkly, glittery, adoring fans – when you share my posts, it gives me that warm fuzzy feeling inside. I mean, we’re friends, right? And friends usually listen to other friend’s recommendations. So (you want to say that ‘so’ in a sing song way), by having one friend (any of you dear readers) recommend me as a source of inspiration, it makes me feel loved and awesome, and it makes a HUGE impact. Alrighty then, you already know this blog is about being motivated and inspired. It’s more than just my creative outlet. I genuinely love when you guys interact with me. You know I am truly honest and sometimes even transparent. What you see is what you get, even though it may take years and loads of peeling back the layers to see it all. Blogging is a business. But an interesting one. This is my empire, and you dear readers are helping me build it up. But, I’m not a blogger. I am a writer. I am an entrepreneur. I am creative and witty. I am so much more. Share your thoughts, especially if you’ve got your own blog! PS. Stay tuned for some incredible, awesomely cool stuff. It’s coming very soon! Check out the Free Beans section and/or the Morning Beans FB page for sneak peeks!